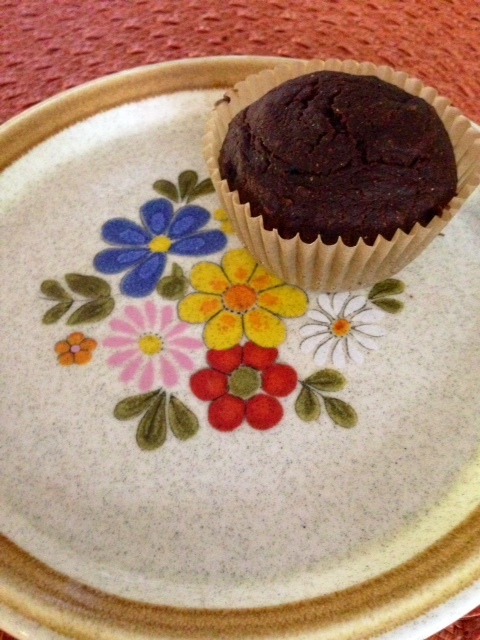 These muffins are a great way use the bounty of zucchini that’s available in the summer! They have just the right amount of sweetness without the “sugar overload” that often comes along with most muffin recipes. I have lots of different types of flour left over from experimenting with gluten free sourdough. One of them is sorghum, so I decided to try a recipe with it. If you don’t have sorghum on hand, any gluten free flour mix, or almond flour should work as a substitute. Put all dry ingredients into a medium size bowl and combine together. Put the zucchini, bananas, coconut oil, maple syrup and vanilla, into a small bowl and combine together. Combine the dry and wet ingredients and mix with a hand mixer until the batter is smooth. Spoon batter into a muffin pan lined with baking cups, fill each until 3/4 full. Cook for 25 minutes or until toothpick comes out clean. Cool in pan for 10 minutes before eating. Categories: Breakfast Recipes, Dairy Free Recipes, Egg Free Recipes, Gluten Free, Nut Free Recipes, Recipes | Tags: Breakfast Recipes, Chocolate muffins, Dairy Free Recipes, Egg Free Recipes, Gluten Free, Nut Free Recipes, Vegan muffins, Zucchini Muffins | Permalink. That looks like it might be quite good. I think I will try it.